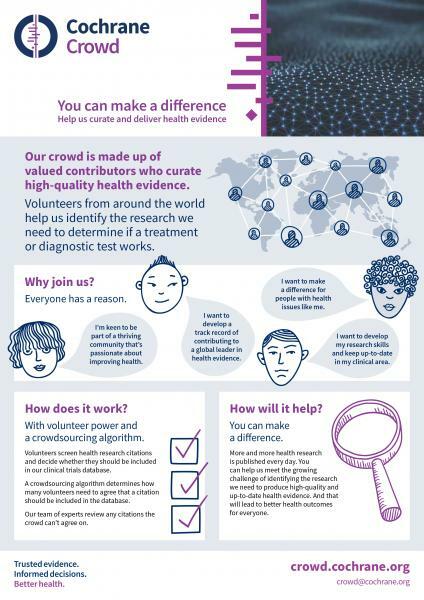 Cochrane Crowd is an online citzien science platform that enables anyone with an interest in health to contribute to health evidence. 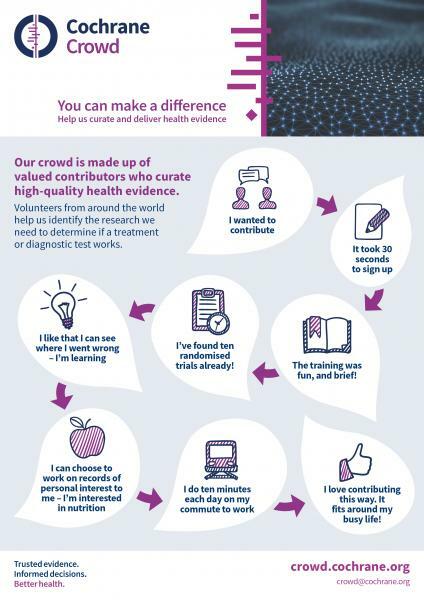 Our volunteers make it easier for health researchers to find the latest, high-quality evidence on what treatments work and don’t work. This means health practitioners can more easily access current evidence to inform the treatments they provide. It is a chance to contribute to Cochrane without having to find huge amounts of time needed to be an author of a Cochrane review. Even small amounts of time are useful. Head on over to Cochrane Crowd now to sign up and start making a difference.